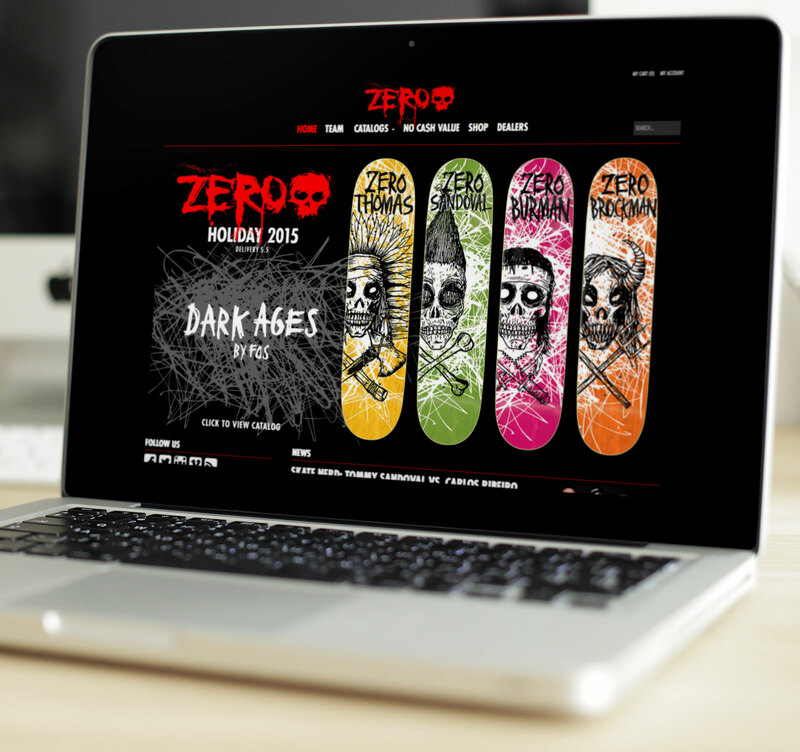 Professional skateboarder Jamie Thomas needed a new website design for one of skateboarding’s oldest and most iconic brands, Zero Skateboards. The site needed to have e-commerce functionality and be easy for his staff to update. We worked closely with Jamie to ensure the site aligned with his brand. We listened to Jamie to find out his specific goals for the Zero Skateboard’s site. Working directly with Jamie’s artistic vision we created a site that represented his brand with all the e-commerce functionality he needed. To keep the site simple for him to update we used WooCommerce for WordPress.